We’d love your help. Let us know what’s wrong with this preview of Chimera by C.D. Bell. Nessa Kurland is adjusting to life as a weregirl—she is transforming with ease and running with a pack she cares for deeply. 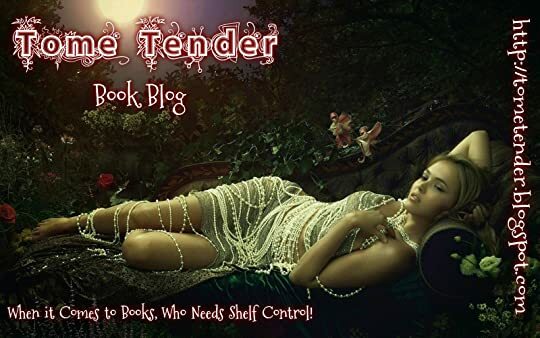 Her boyfriend Luc is a fellow shifter, and Paravida, the corporation responsible for unethical genetic experiments on the residents of Tether, has pulled out of town, leaving the community safe. But that’s just how it a The forest is full of secrets. To ask other readers questions about Chimera, please sign up. This question contains spoilers… (view spoiler)[Wait, what about Luc and Nessa? Will they be together again? Is she going to stay in wolf form for good? Nessa, now well-adjusted as a werewolf, is now dealing with some shocking news. The FBI has come to town and her mother is under arrest as a threat to Homeland Security. What secrets has she been hiding? How is Nessa’s long gone father involved? What is happening in the woods with the genetically altered wolves? Is the town of Tether about to become ground zero for a war between species? Nessa will need to gather her wits, her guts and her determination to save her new pack, hold on to her new boyfriend and uncover who her father is. It’s time for truth, the whole truth and nothing but the truth, but what will it do to Nessa and her family? The plot thickens and simmers and boils over as C.D. Bell holds nothing back in the shock department and Nessa handles it all with that irrepressible teen attitude! The action never stops, the tension is ratcheted up and razor taut as a heroine steps up to the plate once again for those she cares about! Fast, furious and intense! What a fabulous read with a high octane plot! A wonderful teen/young adult read! I received a complimentary copy from Chooseco! Full review at Blame Chocolate. I probably loved this one even more than Weregirl! Is it even possible? There were some tiny things that bothered me, from Nessa’s occasional confusing reactions to her Full review at Blame Chocolate. There were some tiny things that bothered me, from Nessa’s occasional confusing reactions to her inability to piece clues together before I did, but overall there were very few negatives to point out about this wonderful book. I could see there was a lot of work put into making this as cohesive and plausible as possible, despite the paranormal vibe. After reading Weregirl I really wanted to know more about Nessa Kurland and her family. I also still wanted more of the shifter genre too. I had questions I wanted answering upon finishing Weregirl and was looking forward to the answers. The main feature of this cover is the back of a girl's head. The girl has two plaits either side of her head. The hair is a mixture of browns and grey. The girls neck has fur that has a kind of mottled brown look to it. The byline on this cover says, "the forest is full of lies". Prior to reading this book I of course had the obvious thought that this girl with animal markings was Nessa in a part wolf/girl form. However that is not the case and wow when it is revealed who this is, well it's most certainly a wow moment in this second book of the trilogy. So as the blurb reveals Paravida have left Tether and everyone is safe, or maybe they feel safer. . .but are they? Nessa is adjusting well under the circumstances to her ability to transform into a wolf. In fact that's where this book picks up, Nessa is out in her wolf form running through the woods with Luc. Luc was born with the ability to transform into a wolf, and one day not that far away his human side will walk into the woods, transform into a wolf and never return to his human form or life again. It's whilst Luc and Nessa are chasing around, kind of playing in their wolf forms that they scent Paravida wolves. They follow the trail of the wolves when Nessa scents something familiar, however it is not so familiar to her in her wolf form. The two wolves then smell blood, meaning the wolves they are following are hurt. Eventually Nessa's wolf brain/memory clears and she recognises the smell as one she has been around in her work at the vets surgery. The smell is anaesthesia, meaning the Paravida Wolf has been shot with a tranquilizer gun. Luc and Nessa finally find the end of the trail and discover the tyre tracks. Whoever tranquilized the wolves have taken the bodies with them. Obviously somewhat puzzled Luc and Nessa make their way back to their little cabin behind Lucs home but far enough into the woods to be hidden. They change back to their human forms and hug and talk about what they have just discovered. Luc and Nessa have been dating a while and are comfortable with each other in both their human and wolf forms. I personally think Luc is a large part of the reason Nessa has adapted to her wolf so well. He has taught her about the transformation process, how to supress it and how to make it happen when you need it. Nessa still has to transform at both new and full moons. Nessa has also gotten to a point where she can move in and out of wolf form at will. Nessa merely thinks of her family to enable her to switch back easily into her human form. To become a wolf, Nessa think about the way she feels running as a wolf to transform into her wolf. Luc and Nessa's discovery soon becomes the least of her problems when she returns home to find the FBI and Homeland Security in and all around her home. Using her wolf hearing Nessa hears snippets of different conversations going on. Upon entering the house she and her family live in she first sees a worried Delphine, whose face instantly relaxes when she see's her older sister. Nate however is in an even worse state than Delphine. Nate is in the corner alone, as far away from the bustle as possible, hugging his knees and becoming more and more upset by all the people and police in his home which is usually his sanctuary. The officers are using Geiger counters and are searching every room and drawer and cupboard in the house. It's then Nessa's eyes finally land on her mother who is continually asking the officers what they are looking for. Vivian is sat at the table in an awkward bent forward position as her arms are in handcuffs behind her back. The officers pull Vivian upright to a standing position to take her away with them. Vivian has just moments to give orders to Nessa for her to call Aunt Jane to come get them. Vivian's other instructions are for Nessa to phone Dr Morgan to ask for more shifts at the vet surgery and to continue Vivian's work there. Both calling Aunt Jane and asking for extra shifts at the vets instantly make total sense to Nessa. It's the latter suggestion confuses Nessa somewhat as she is certainly not as qualified as her mum so couldn't possibly perform her duties at the veterinarian surgery. I also enjoyed reading the sections that featured the Paravida wolves. The Paravida wolves had been scientifically created and raised by human researchers at the secret laboratories on the Paravida Corporate Campus North of Tethers town. These wolves had been purposely bred to be highly aggressive and were isolated from each other, kept in individual cages instead of being allowed to co-exist or form a pack as they would naturally do. In this book, Chimera these wolves had escaped into the wild, fighting each other, starving or ransacking garbage for food. Sadly this meant they had no idea of how to interact with natural born wolves. Luc has taken on the task to attempt to teach them what being part of a pack is and how they should be co-existing with each other and other wolves in the area. I love the relationship between the Paravida wolf Jack and one of the Tether wolf pack resulting in super cute sounding baby wolf cubs. There's some great scenes within the book of Luc and Nessa playing with these wolf pups. There seemed to be a lot of things that had happened after the ending of Weregirl yet before Chimera begins, such as the whole Nessa & Luc relationship and also the incident where Bree, Luc and Nessa break into Paravida and take a box full of files and documentation. This box is mentioned as maybe being the information that the FBI and Homeland Security were searching for in the Kurland home? The box and it's contents could perhaps be a factor in Vivian's arrest too? The box is mentioned a couple of times and then nothing else about it. An envelope is found in the important roll top writing desk made or restored by grandpa, yet this piece of treasured furniture hadn't been mentioned before, in fact I initially thought that the girls were looking for a number/envelope in a roll-a-desk telephone number gadget from the description! To say there is a lot going on in this book is an understatement where in book one, Weregirl the plot initially felt a little slow, in this book, Chimera everything happens so very, very fast! We even get to meet Nessa & Delphine's father. There are many questions around and concerning their father. The one that immediately came to my mind was, well who is Nate's father? Then there is the whole ethics of the scientific experiments her father is doing. The shock that her mother once approved and did similar experiments herself. Then Nessa comes face to face with an experiment that should no longer exist. I could seriously go on and on and on about everything that happens in this book. Another issue Nessa has to deal with is the increasing support in her previously peaceful loving town of Tether for hunting and killing the wolves. . . .all the wolves, not just the Paravida one's. There are some fantastic scenes where Luc and Nessa are trying to help the wolves to leave the Tether wood and escape from impending death. I really grew to love the character of Nessa even more in this book. Nessa goes through lots of changes from the person she was in Weregirl to who she is at the end of Chimera. Nessa has to deal with losses of things and people close to her. Nessa has to become more independent and confident, she has many choices ahead of her with very few people she can discuss them with. What should she believe about her mother Vivian, Why has she been arrested? Why is she so set that Nessa should avoid her father along with any help he ever offers? Then there is her father, how come he is so rich? and the rest of the Kurland family so poor? What sort of experiments is he really doing? How should she feel when he reveals Nessa is named after his mother Vanessa? Nessa was very young when her parents split but she does have flashbacks to that time, which she uses to decipher the lies within the truths she is presented with. Nessa really goes through the ringer in this book, she has to accept that what she has with Luc is not permanent. Nessa feels pulled in many directions during this book by her mother, her father and her pack, the Tether wolves. Nessa has to deal with the feeling of ostracisation when some of the people of Tether turn against Vivian. Nessa also deals with bullies at school who seem to love talking about her mothers arrest. It both annoys and upsets Nessa, these are the same people whose pets Vivian has saved or treated for free when they were down on their luck and money. Poor Nessa seems to solve one problem only to have another one land in her lap. Another much smaller character within Chimera that I really liked a lot was Vivian's court appointed lawyer, Zach Chandler. Zach is young but knows what is needed to help Vivian and when because of his firm not wanting to go up against a large company like Paravida reveal they would take a plea for a shorter jail sentence instead of going the whole way through the court to free Vivian he meets with Nessa, explains the situation and gives her pointers on where to find the right sort of help. I overall really enjoyed this Chimera was so good! I really liked the writing style of this book, it was fast paced and fluid. There were certain instances where my heart beat faster in anticipation of what was going to happen next! This is my favorite quote from the book, it's so thoughtful. Also, the whole storyline is engaging and there were time I received an ARC from the publisher in exchange for an honest review. This is my favorite quote from the book, it's so thoughtful. Also, the whole storyline is engaging and there were times where I couldn't take my eyes off it. “A chimera is a mythical beast that combines several different species. It’s also a scientific term for any organism that contains genetic material from two individual zygotes— or two species." Personally, I love to read about genetics and DNA sequencing, this book even explained a few of these processes which garnered my attention and also made me attached to it. "Wolves did not keep secrets from one another. They didn’t worry about having enough money or finishing school or winning races . They didn’t interfere with nature and have to figure out what was too much and what was enough. They were nature." I enjoyed reading the scenes where Nessa and Luc were running with the other wolves. It was so well written and the pups were so adorable. I like how the perspective about wolves is so different than the usual. As much as I loved Weregirl, Chimera blows it out of the water! I could not put this book down. The plot was suspenseful and moving, and the plot twist (I won't spoil it) was intense, I can't wait to see where it goes from here! Equal parts exciting and heartbreaking, I would highly recommend Chimera. I appreciate a strong female protagonist and the story arcs kept me engaged. I receieved a free copy of this book courtesy of Chooseco! Thank you so much! All opinions are my own. I will say that I loved this book much more than the first one. The beginning starts off slow and right where we left off in the last book. However the story soon picks up and the reader is racing to the end with the main character. I liked how much more developed the main character became along with all of the other characters. I felt that the author made tremendous improvement between the first and second book in terms of writing, character development, plot development, and pacing. A+ in effort for the author! I only had one complaint and it was how the book ended. There were so many unanswered questions and so it almost guarantees that I'll have to reread the series in the future and then read the final book in the triology. Verdict: I thought this book was so much better than the first book and I thought this book did amazing to build tension and make the plot a thousand times more interesting then in the first book. Definitely a series you need to check out if you're looking for a werewolf book or a different kind of fantasy book altogether. I haven't read the first book in this series, but that didn't hinder my reading experience with Chimera. Obviously there was some backstory I wasn't familiar with, but it was fairly easy to fill in the blanks. My rating is 3.5, but I've rounded up to 4 stars to take into account that I probably would've had greater investment in the characters if I'd read Weregirl. I'm very picky about the YA books I choose to read because there are a lot of toxic tropes and unfortunate themes prevalent in th I haven't read the first book in this series, but that didn't hinder my reading experience with Chimera. Obviously there was some backstory I wasn't familiar with, but it was fairly easy to fill in the blanks. My rating is 3.5, but I've rounded up to 4 stars to take into account that I probably would've had greater investment in the characters if I'd read Weregirl. 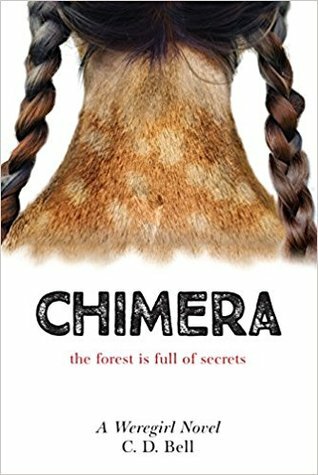 I'm very picky about the YA books I choose to read because there are a lot of toxic tropes and unfortunate themes prevalent in the genre, but fortunately Chimera ticks all the right boxes to make this an enjoyable read. We have a mature level-headed female protagonist who has several meaningful platonic relationships instead of revolving around boys, which is a massive plus for me! I love that Nessa has a close bond with her brother and sister, being protective of her younger siblings and doing her best to look out for them. Nessa's mother is also an important part of the story - even if she's not always an active on-page presence, Nessa's thoughts frequently return to her since the major elements at play in Chimera involve her mother's health and scientific background. Now onto the romantic relationship...a lot of times in YA, the main couple are ride-or-die for each other and have no perspective outside of their relationship; being with each other is the only thing that matters and they have no other considerations or priorities. I have to praise the author for taking the time to flesh out character arcs and motivations for more than just the lead, since in this case, we see Luc struggling to reconcile his love for Nessa with his long-held desire to turn fully wolf and retreat from the human world. I'll admit, I'm not overly invested in his character, but that would be due to having skipped the first book so I don't really know Luc since he spent most of this book off-page due to his wolf responsibilities. It's just really refreshing to me that we get to have these teenagers facing conflict over where their futures lie and how their paths are likely to diverge, but instead of angst and tears, it makes them appreciate the time they have together even more and they make the most of their brief moments sharing hot chocolate in their secluded cabin. This is what makes me root for a couple, not OTT drama! Moving onto the plot, there is solid intrigue with the evil corporation Paravida plotting to scapegoat Vivian and exterminate the wolves. They seemed a little overpowered at times, considering the ease with which they manipulate the legal system and turn the town against Vivian, but I can see how corrupt corporations have an advantage when it comes to promoting their agenda in court and in the media. More successful is the family drama with Nessa meeting her estranged father and negotiating that tricky reunion while trying to find ways to help the wolves and cure her mother. Was this someone she was supposed to know? An old friend of Vivian's? Some distant relative she'd met once and didn't remember? Who was this woman? Why did she seem to know Nessa when Nessa did not know her? A few minutes later, she says that she thought the reporters were in court for another case, so again, she knows what these people are there for, yet she still somehow thinks maybe the first reporter trying to interview her on-camera is a distant relative or family friend? There was also a climactic scene near the end of the story where this cropped up - (mildly spoilery) characters are in danger and it looks like there's no way out...then a solution is found, but Nessa forgets about it a few minutes later and is at her wits' end, trying to think of how to save lives, whereupon she comes upon the same solution that was just employed in that same scene! Again, she clearly remembers the details of what just happened as it's referenced at the time, so this isn't an editing issue, but the fact that she doesn't think to use that escape method until later is baffling. But in the hospital bed, Vivian looked worse than Nessa had imagined. (...) But still, she was Vivian. She was Mom. Nessa saw Vivian make the same half-smile she always made, as if to smile fully was to tempt fate. Even if we assume that the story is being told from an objective POV instead of Nessa's, that bolded line doubles down to suggest that Nessa is thinking of this woman as Vivian, and the continual jumping back and forth is very clunky. Speaking of Vivian, her character has a few bizarre moments with the flip-flopping when it comes to accepting help from the children's father. For instance, I understand she has ethical disagreements with Daniel over how far to push the boundaries of science, but I can't help judging her for being a terrible mother since she never touched the child support payments he made when her family was struggling and badly needed that money! A thrilling and tear-jerking read in which Nessa grows into herself a a weregirl. Once I started this book I couldn't put it down easily - darn work & housework! This series is very entertaining, and is perfect for lovers of the paranormal - including those coming-of-age readers. I would highly recommend this series. Luc is no shadow of doubt my favorite character. Why? because I identify with his personality. He rarely says anything and when he does it is only the necessary. He is always on task. He is also the character that made my heart ache throughout the book, but that is one spoiler I wont give away. Just know, that if you love him as much as I do, it will hurt and make you angry and make you smile... conflicting emotions all the way! Nessa's character is a little different here. In Weregirl she was your every day teen. She was a runner trying to best her time to get scholarships; she had a normal-ish family ('cause no family is truly normal); she was brave, but not unafraid; she knew the wolves chose her but had little trust on herself. In Chimera Nessa is a lot more confident. School is no longer a priority. Family is. Understanding her mother's past and getting to know her estranged father takes center stage. She is willing to take chances and trusts herself a lot more. For the first half of the book I felt exactly the same way I did with Weregirl. A bit uncertain... the 'good but not great' feeling playing along in my mind constantly. But just like in Weregirl, about half way through the story picked up and got very intense. I was suffering some serious anxiety issues towards the end of that book! Goodness... so much happened! I believe that Weregirl was a little better than Chimera. Hence I gave Weregirl 4.4/5 and Chimera 4/5. The reason neither book got a 5 from me was that the first half of both books was not as gripping and intense as the second. And the reason I believe Weregirl was a tad better was because it was more consistent and believable. For example, in Chimera Nessa's mother is said to hate her father, to the point she would rather die than ask for his help. Yet towards the end her mother asks Nessa to move in with her Father. What?! The ending was PHENOMENAL! I was afraid the whole way through of what would happen to Luc and eventually also to her mother. Their endings were beautiful. Sad in many ways.... I freaking cried my heart out... but beautiful! I would even be happy if this was the end and I got no answers to the trillion questions left open. It was that Perfect! Then I received Chimera................................No offense guys, but what?! I am a visual person. Were I out in a store looking for books without ever having heard of Weregirl I would not look at Chimera twice. Sorry. Truth must be told! Anyway... if you've read this review this far you know to ignore the book cover. The book was great. I was provided with a copy of Weregirl and Chimera by the author and publisher for an honest opinion. Thank you Chooseco for the opportunity to read these books. In Weregirl we follow a high school Junior named Nessa Kurland who's main goal is to get a scholarship in cross-country to escape her small town. She gets noticed by one of the best runners in her team and was invited to run in the woods at night for practice. To Nessa's luck she runs late and while trying to catch with her teammate she I was provided with a copy of Weregirl and Chimera by the author and publisher for an honest opinion. Thank you Chooseco for the opportunity to read these books. In Weregirl we follow a high school Junior named Nessa Kurland who's main goal is to get a scholarship in cross-country to escape her small town. She gets noticed by one of the best runners in her team and was invited to run in the woods at night for practice. To Nessa's luck she runs late and while trying to catch with her teammate she runs into a trapped wolf. While trying to help this wolf Nessa unfortunately get's bitten by a white wolf who happens to encounter her while helping the trapped wolf. She then starts noticing changes in her body, and that she in now running a lot faster than usual. Overall, I really loved this book and could not have expected any more from it. I really loved the pace it set for the reader. It wasn't a slow story and I never felt like it dragged on either. The writing was really good and easy to follow. I felt like it flowed really well with the book and didn't falter. I really enjoyed reading in the perspective of the main character, Nessa. She has us going on adventures and also I saw myself relating to her in some parts of her real life. Except the part in which she becomes wolf, obviously not a spoiler. I really loved the way the first book wrapped up and left you wanting more from it. I quickly pick up the second book, Chimera which was just a little slower. I blame it on the fact that I might have been on a bit of a slump. In this book Nessa has to deal with a lot more problems. Which I don't want to spoil for you guys, but you will be on the edge of your seats. Trying to find out what's going to happen next. We're on a different adventure with Nessa and this time it's a bit more serious. This book was also just amazing as the first one. If you love the show Teen Wolf and love werewolf book with teenage main characters than this book is for you. I promise you'll enjoy reading in. Especially because its set at a great pace. I received this book as an ARC from the publisher (thank you specifically to Lizzi Adelman for reaching out to me) in exchange for an honest review of the book. Chimera comes out November 1, 2017 and the first book in the trilogy is out already. I won’t go into too much detail about anything that happened in the book as I don’t wish to spoil anyone that hasn’t read it yet, or that wants to read the series if they haven’t started it. Chimera picks up, I want to say, about a year or so after Weregirl ends. It starts off with Luc and Nessa playing around and then catching the scent of Paravida wolves. I enjoyed this scene, especially the very beginning of it. It was nice to see them playing around again after all that went down in the first book, Weregirl. At this point, I was interested in what would be the story line for the Paravida wolves. Would they be forever aggressive? Would they become completely tame? Would they end up blending in with the normal wolf packs? Well, the answer to all those questions ends up being answered throughout the story. A story that weaves together the complex life of a 16-year-old girl as well as her life as a werewolf. This story, in contrast with Weregirl, is more about Nessa and her life as a wolf now that it’s been a year and she has gotten accustomed to being one. The reason I mention this is because this is one of the several pros I had for this book. While I did enjoy reading about Nessa’s human life in the first book, I felt that it might have been a little too much about her life as a human. In this story, though, it’s primarily about her time as a wolf (with Luc) and still trying to figure out what the deal is with Paravida. Overall, I thought Chimera was better than Weregirl. It moved at a faster pace than Weregirl did, which I really enjoyed. I did not feel as though there were many (if any) moments that could have been taken out, and the story would’ve been fine without them. This, I thought, was a major improvement from the first book where I felt that were quite a few moments throughout that book that could’ve been taken out. Now, onto another of pros. The cover. Before I read the book, I didn’t know how I felt about the cover. After reading the book though, I love the cover. There’s a section of the book that explains what is on the cover and when I realized this, the cover immediately made sense and I now fully support the use of this cover design. Also, may I just say, that was a hell of a weird scene to read (in the best way possible). I really love the whole plot with Daniel and thought it was well executed. The whole thing with him and the Chimera’s gave me the creeps. The plot twist that involved him and a certain someone (when we’re first getting to know who his character is) was good and not something I expected at all. Another of my pros was the scene with the wolves and the soldiers in the woods. I thought this scene was very well written and detailed perfectly. Especially that Luc part. That got me in the feels. Speaking of Luc, I love him, he’s such a great character in the story. This book had me on a roller coaster of emotions. First, I was happy, then anxious, nervous, confused, shocked, weirded out, then sad, and finally happy again. Take all of that as you will, I’m not spoiling about what had me feeling all those emotions. I didn't read the first book in the series, but found myself quickly immersed in the story, and while I don't think it's completely necessary to read the first book, it may help to do so, simply for some more background information. While I found the writing style fluid and the story progressed at a good pace, it does start of kind of slow, which I suppose is ok, most books seem to start off slow, I find it's because setting the story takes some time. The plot is very intriguing with the suspens I didn't read the first book in the series, but found myself quickly immersed in the story, and while I don't think it's completely necessary to read the first book, it may help to do so, simply for some more background information. While I found the writing style fluid and the story progressed at a good pace, it does start of kind of slow, which I suppose is ok, most books seem to start off slow, I find it's because setting the story takes some time. The plot is very intriguing with the suspense of the FBI and the unethical and corrupt practices of Paravida and other scientists bring to mind all the ways humans should stay away from tampering with nature. With plenty of twists and wonderful characters, this is a great read for teens, young adults..well anybody really. Nessa is a teenage girl..but she's also a wearwolf, not from birth but because she was bitten. Her boyfriend Luc is also a wearwolf, but he was born that way. They "run" with a local pack of wolves...however the woods is full of scientifically enhanced wolves..wolves that don't act like regular wolves...they were accidentally released by Paravida. These wolves are extremely aggressive and will attack humans. Nessa and Luc try to keep them away from town. But then something odd happens..Nessa's mother is arrested by the FBI and charged with genetically enhancing the wolves and releasing them onto the public. Nessa must not only continue to help Luc keep the wolves away from town, but she also finds out her mother was a scientist, her father is still alive and running labs that may or may not be unethical himself. It's a lot to deal with..can she save her mother, the wolves and herself? I'm really glad I got hold of an ARC for this, because it was a very cute werewolf book. The werewolf protag Nessa is now comfortably dating Luc, guarding the local wolf pack, working on the rehabilitation of the escaped evil science wolves, and has a great secret hideout cabin in the woods with hot chocolate and pillows. Live the dream, Nessa. Live the dream. This book has a lot more science and less magic than Weregirl, as Nessa and Bree continue their high-school-level espionage attempts agains I'm really glad I got hold of an ARC for this, because it was a very cute werewolf book. I received a copy of this book from the publishers through NetGalley. All opinions are honest and completely my own. In Chimera we get more background into Nessa’s mother and her estranged father. All that background could be a trilogy of its own. Ch I received a copy of this book from the publishers through NetGalley. All opinions are honest and completely my own. In Chimera we get more background into Nessa’s mother and her estranged father. All that background could be a trilogy of its own. Chimera felt at times, slow and then suddenly fast paced, because of all the plot and twists. This book is much heavier on the science side, with more exploration into hybrids and chimeras (whether or not the science holds up is beyond me). I also really enjoyed the relationships between characters in this book and how they evolved. One of my biggest complaints is the writing style and this may come from the fact that C.D. Bell is actually a group of six authors all writing one book. I find that sometimes Nessa will realize something important, seemingly forget it, and then remember it all over again. Which really throws off the pacing. While I am all for collaboration, this is something that should have been noted and fixed in editing. I was really excited to get into the book after reading Weregirl. Chimera is still a good read, but it feels like one too many things are trying to be set up in this book for the third book and it made everything feel cramped. I think what the author was going for was a breathless pace trying to keep up the tension but with all the information on each page it felt more claustrophobic than anything. The writing is still done well, I think if more had been set up in the first book this would have I was really excited to get into the book after reading Weregirl. Chimera is still a good read, but it feels like one too many things are trying to be set up in this book for the third book and it made everything feel cramped. I think what the author was going for was a breathless pace trying to keep up the tension but with all the information on each page it felt more claustrophobic than anything. The writing is still done well, I think if more had been set up in the first book this would have been an excellent follow-up. I received an arch free for an unbiased review through NetGalley and publisher. I have read both books in the Weregirl series and I do believe Chimera has indeed surpassed my sequel expectations. It was of course slow going but I felt like it was slowing reintroducing me to the world of Nessa and Luc. I personally enjoyed the slow climax but I do fear people tend to want plots rushed in order to capture their attention, so it might be a negative impact for those who find it difficult to submerge I received an arch free for an unbiased review through NetGalley and publisher. This review has been hidden because it contains spoilers. To view it, click here. I received Chimera from the publisher and netgalley in exchange for an honest review. Chimera continues the story of Nessa battling with the company Parvida and trying to manage her newly found werewolf status. The Parvida wolf pack has started descending on the town of Tether and multiplying at an alarming rate. Her and Luc are trying to keep them at bay when Nessa’s has a major family crisis and her father reappears in her life. She may not have time to save both Tether and her family from col I received Chimera from the publisher and netgalley in exchange for an honest review. Chimera continues the story of Nessa battling with the company Parvida and trying to manage her newly found werewolf status. The Parvida wolf pack has started descending on the town of Tether and multiplying at an alarming rate. Her and Luc are trying to keep them at bay when Nessa’s has a major family crisis and her father reappears in her life. She may not have time to save both Tether and her family from collapsing. This book is an interesting mystery including supernatural beings and genetic manipulation. The theory is sound that we can add to and alter the genetic code between two diverse animals an create hybrid animals. The supernatural idea of werewolves changing from human to wolf form on command is easily woven into the mythos of the story. Young Nessa has a lot to come to terms with. She finds out that her father is alive. She finds that her mother has more history than she knows about including in their small town. Nessa has a lot to face, and you thought being a werewolf was hard. Luc is her love. Luc has to save the natural wolves in their hometown. Genetically altered wolves are changing the human wolf dynamic. Their aggressive nature is costing the town, and they will make the wolves pay. This is a dynamic story about responsibility and human nature. “Chimera”, the second book in the Weregirl trilogy by C. D. Bell, was just a good as her first, if not better. There is romance, adventure, secrets revealed, tragedy, and perseverance. Nessa Kurland is running with the pack along with her boyfriend, Luc, who is also a wolf. Learning to control her transformations more easily and what it mean to be part of nature. What it means to just run free. Things seem to fall apart as Nessa’s Vet-tech moth ***Received an ARC via NetGalley for an honest review. Things seem to fall apart as Nessa’s Vet-tech mother is arrested by the FBI on serious charges. Nessa will find out her mother is not who she though she was. That her wealthy father was into weird science and that he had genetically created a daughter from materials from her sister and other animals. Thank you to the author and @weregirl_book on Instagram for sending me a copy of the book in exchange for an honest review. I didn’t think that Nessa and Luc’s relationship was very realistic. The beginning of the novel sort of threw them together. Though, their relationship did build as the story progressed, especially toward the end. And the ending was amazing. I cried. Kleenexes were definitely needed. I’m still not sure how I feel about the cover. If I was in a bookstore, I probably wouldn’t Thank you to the author and @weregirl_book on Instagram for sending me a copy of the book in exchange for an honest review. I’m still not sure how I feel about the cover. If I was in a bookstore, I probably wouldn’t pick it up. I tend to gravitate toward bright, colorful covers so the cover of Chimera probably wouldn’t catch my eye. The second book in the Weregirl trilogy is just about as good as the first. Nessa discovers her dad is still alive--and the head of a scientific research center. But he has his secrets, and as Nessa tries to figure out how to keep her mom from going to prison, she must also figure out whether or not she can trust her dad, and find out what he's hiding. There's still quite the element of Sci-fi and mystery to this The second book in the Weregirl trilogy is just about as good as the first. I’m very disappointed that I didn’t enjoy this book as much as the last. It was so much fun reading from the moment where Nessa was bitten to where she saved her brother. I enjoyed reading about how Nessa was coming into her powers, but she was done with that in this one. I DID enjoy that Luc and Nessa we’re together in this one. They’re very cute, which made the ending very sad. I’m actually scared to read book three because I don’t know if I’ll like what the author does. I’ll stop now before I s I’m very disappointed that I didn’t enjoy this book as much as the last. It was so much fun reading from the moment where Nessa was bitten to where she saved her brother. I enjoyed reading about how Nessa was coming into her powers, but she was done with that in this one. I felt like this book started out rather slow, but when it began picking up in speed, I was completely shook. Some of the scenes in this book also made me want to puke. It was very graphic, and centered on something that we had only heard little about in the first book. The whole DNA altering thing really creeped me out. I wished for a little more wolfy scenes in this book, seeing as I really like werewolves. I am in fact obsessed with werewolves. This story starts right where Weregirl left off. This story picks up steam as it goes and by the end is a full blown locomotive. There are twists and turns and secrets and lies. We get a whole new cast of friends and enemies and are not sure where a few of them fall. We find out more about Nessa’s family and there are a few surprises there. This story left me panting for the final book in the trilogy. I enjoyed this book, however, I don't think it was as good as the first one. I really wanted to get to some of the secondary characters more and I wanted Nessa's focus to remain on the things that were important to her in the first book. I did like seeing Nessa and Luc together but the ended made me so sad. Thank you NetGalley for gifting me this book.